As people with many roles in our life, we juggle a lot of things. You're a mother, daughter, sister, brother, best friend, significant other, student, employee, or customer. No matter what your roles are the bottom line is most of the time it get's busy with our endless to-do list, studying, helping, and being social. From the moment we wake up we're on the move to the moment we lay our head down to rest. In all the hustle and bustle of life, do you make time for yourself, do you fit in things you love to do, do you say no to things you don't want to do, do you give yourself a break, and do you make yourself a priority in your own life? I can barely get everything I need to get done, done in a day let alone make myself a priority in life like I should be. I feel like with all the roles I play in life for myself and to other people. It's hard to remember to put myself first. It may sound like that comes off a little bit selfish but when you stop to think about it, it really doesn't. Nothing is wrong with thinking about yourself first when making commitments to people or making decisions. It's your life and you should be able to say no to something you're uncomfortable doing or you're not stoked to do. For the past two weeks on Mantra Mondays we talked about how life is short and you should be creating a life you love and a life that makes you happy. I believe part of creating that life is recognizing that you need to be a priority in your life. It should be something that you do guilt free. It's okay to squeeze in me times during your day. It's okay to drop your endless to-do list and do something else you love for a change. It's okay to take back your weekends and spend it not working. It's okay to pamper yourself. It's okay to lay in bed and not adult for a day if that's what you want to do. It's your life and you're the star player. So prioritize yourself and be happy because you deserve to be happy. 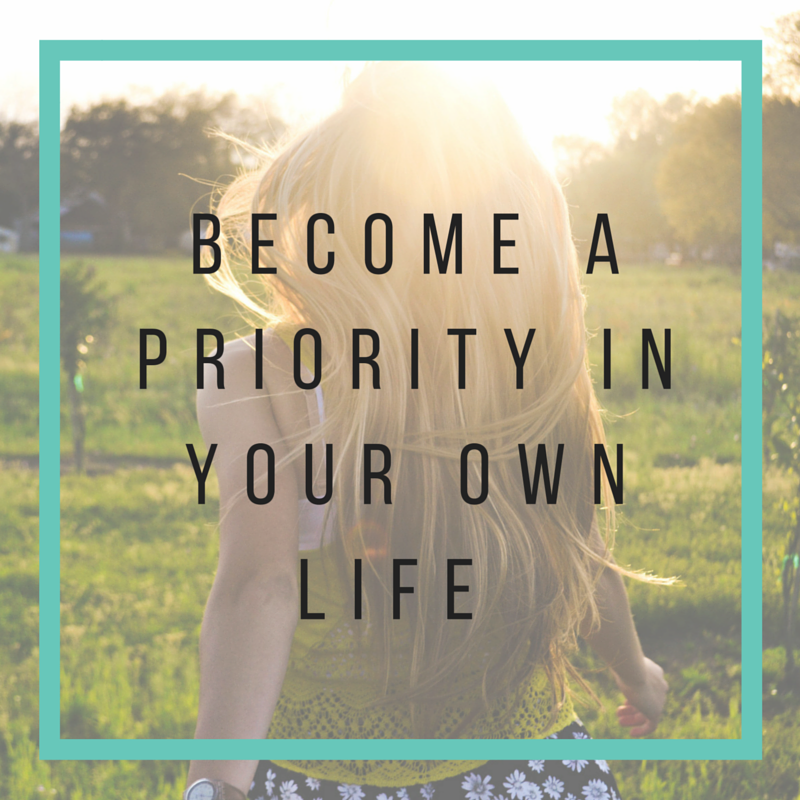 How are you going to or making yourself a priority in your life?